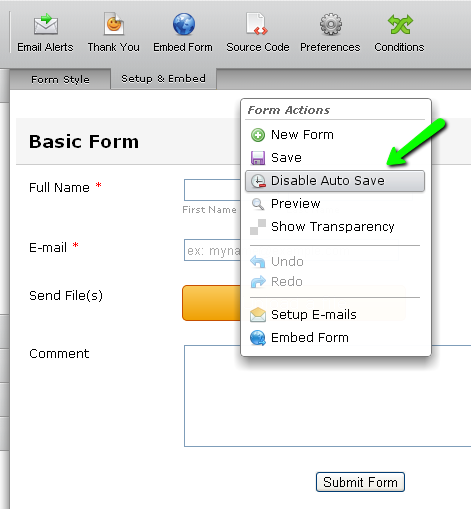 That can be done by right-clicking an empty area of the form (which is to say, an area without any fields) and selecting Disable Auto Save in the pop-up menu. Yes! That is exactly what I meant. Thanks for the answer. Indeed. For some reason, that seems to be happening with a lot of our users. Perhaps there's something in the design of our forum that needs tweaking. Anyway, I'm glad I was able to help with your query.